Chuck and Serena: Hot Mess! If Chuck & Serena were to hook up who's reaction would Du most like to see ? Would Du like to see Serena and Chuck together? Would Du rather see a Chuck and Serena hookup oder a Blake and Ed hookup? Die Fanauswahl: kirsche no doubt! "The Kids are Not Alright" had a few kirsche scenes (and they were awesome) What was your Favorit part about those scenes? Was kirsche your Favorit part of "The Kids are Not Alright?" Die Fanauswahl: Anytime Cherry's involved they will be my Favorit part. Whats your Favorit kirsche pictures ? Can Du make a banner for this spot ? this is just a one shot fanfic. im a chair Fan but i just wanted to write this and see how it would turn out. in this fanfic the chair stuff hasnt ever happened. enjoy. chuck and serena are both in the transporter, van der bass apartment. serena has sort of grew fond of chuck as a sort of brother but still wont admit it to anyone. C(Chuck): i think we should through a party while they're away. 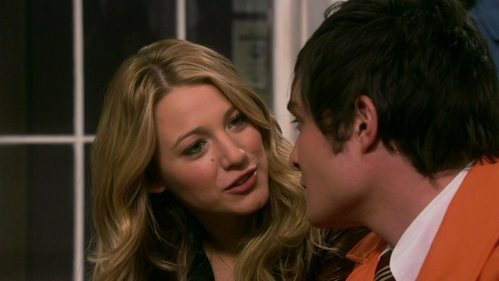 S(Serena): chuck your parties always end up with something broken and things ruined. Congratulations on being our 5th kirsche FOTM! You’re very deserving, if I do say so myself. How does it feel? First of all, THANK Du VERY MUCH! I don't feel like I'm deserving it AT ALL, but anyway, it feels awesome! plus, this is my first FOTM, and so this is pretty AH-MAZING and special. 1. Firstly, why don’t Du tell us something about yourself? Uhmm, okay. for those who don't already know, I'm Elisa and I live in rome. that's pretty much all, like for real. Congrats C! Du are the 4th FOTM on the kirsche spot! How does it feel? -It feels amazing. I feel so special that I was considered worthy of this honor Von people who are definitely bigger kirsche Fans than myself. [i]Congratulations Karoline! Du are Cherry's FOTM for the Monat of December! How does it feel? 1.For those of us who don't know Du really well, why don't Du tell us something about yourself. 2.So what attracted Du to Cherry? When and why did Du become a fan? Congratulations to our Sekunde FOTM here at the kirsche spot, Lucy! I don’t know anyone that deserves this honor Mehr than Du do. How does it feel? Before we get to the real stuff, why don’t Du tell us something interesting about yourself? -Besides Gossip Girl related things, I'm obsessed with Matthew Fox, Beauty and the Beast, and Ron Weasley. Introducing our very first kirsche FOTM! *inspiring Musik plays*... BELLA! Woot! Woot! *bows at your feet* Tell us oh Sacred One, how does it feel to carry the honor of representing the hottest couple around?! Absolutely amazing :D i'm honered to be the first FOTM and i'll do my best to live up to this amazingness! 1. So do tell, what made Du first become a kirsche shipper and what was it that made your Liebe grow? Countdown to 1500 kirsche fans!